Lightworks is among the best video editing software that has been around in the market than most of its competitors. However, it hasn’t get the deserved widespread acceptance by video editing users and the community. This video editor has numerous features which make it a powerful editing program, irrespective of operating systems. Talking about its customizability, this video editor is way better than other top end video editors. The reason behind it is its way too different interface than its competitors. This video editor has a decentralized canvas of free-floating windows which allow users to create or reject as per their convenience. It also allows the user to create a workflow which is completely customized according to user’s needs. Since each video editing project is different and every editor has its own unique style, this workflow helps them a lot. The software itself is quite lightweight. Its full installation only needs 200 MB of storage space. And you need only 2 GB of RAM to run this software and mere 3GB is recommended to run this program effectively. This makes Lightworks an excellent choice of video editing software for inexpensive netbooks. If you think that since this software is lightweight, so its tools will be substandard, then you are reaching a wrong conclusion. It has almost all the editing tools used by professionals, similar to this software’s competitors. However, there are few noticeable exceptions as this lack ability to make closed captions and other types of disc authoring tools. While all the other video editing software provides free trial for at least a couple of weeks or months, Lightworks provides a completely free version of the software that has all the required functionality of the premium version. The major difference between the free and paid version of this software is that one can export projects in MP4 format directly to Vimeo and YouTube with a maximum resolution of 720p. Another important aspect of this program that it’s the only professional video editing software which is available on most of the major operating systems. 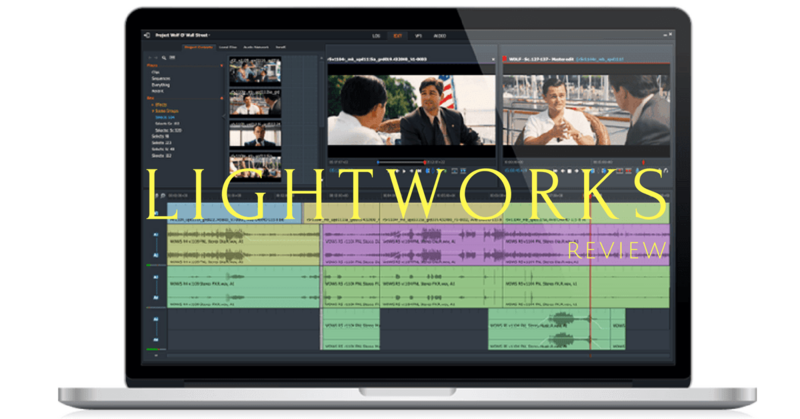 Lightworks is a great alternative to the branded professional video editing software. Its most salient advantage is its customizability, lightweight, and versatility. So go ahead and try out this software to create your home movies.